"The possibility that a large ocean once occupied the Martian northern plains is one of the most important and controversial hypotheses to have originated from the exploration of Mars," the researchers wrote in the study. "We mapped lobate deposits, which appear and are potential tsunami deposits associated with the existence of a former ocean. We identified the most probable crater sources of the proposed tsunami deposits from a numerical modeling." A team of researchers found that certain geological features on the Red Planet indicate that the impact that created the Lomonosov crater may have also created massive waves in an ancient Martian sea. In a new study published Saturday in the Journal of Geophysical Research Planets, a team of researchers has argued that not only did Mars have an ocean in its northern hemisphere three billion years ago, but parts of the planet may even have experience powerful tsunamis reaching heights of nearly 500 feet, triggered by an asteroid impact that created the 90 mile wide Lomonosov crater, located in Mars' northern plains, three billion years ago. 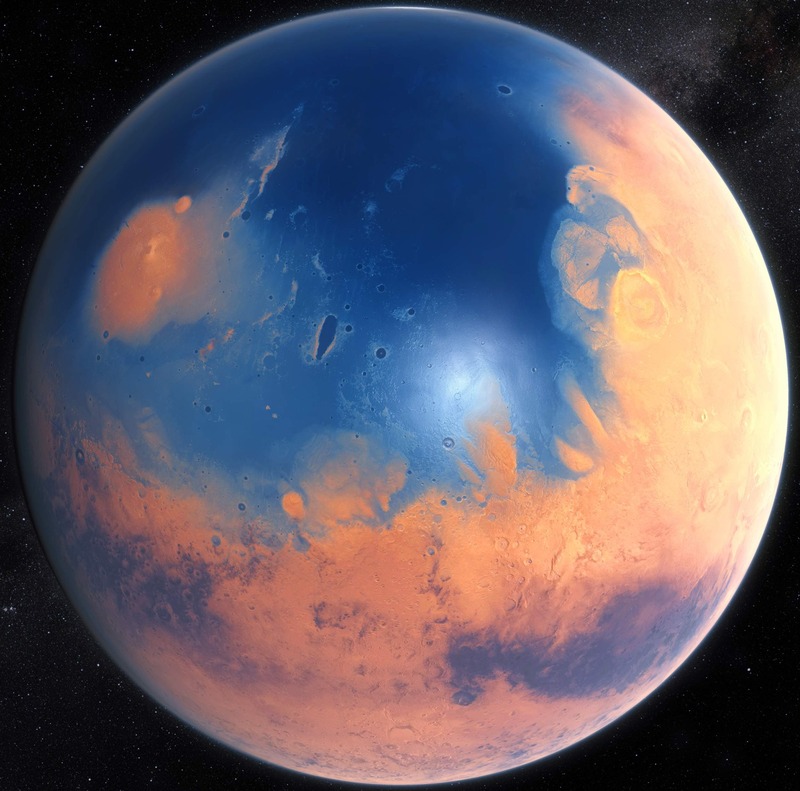 The researchers also cited the existence of lobate flow deposits on the Martian dichotomy boundary, which separates the planet's southern highlands from the northern plains, as evidence for a tsunami that pushed waves of water toward an ancient shoreline in the southern hemisphere. "These lobate deposits propagate uphill from the northern plains and do so in close association with a potential palaeo-shoreline. The predictions of the numerical modelling that François and his colleagues have done provide a very persuasive case for an ocean at this time," study co-author Stephen Clifford from the Lunar and Planetary Institute in Houston, Texas, told BBC News. The Mystery of Ceres' White Spots –"Could the Dwarf Planet be Habitable?"